Magento 2 Marketplace Split Order extension split an order into separate orders automatically. This extension splits an order into multiple orders if there are multiple seller products in the shopping cart. Marketplace products are supplied from different vendors. Therefore, it is required to create a separate order for every vendor based on its products in the cart during the checkout. Using this module, If the customer is having several products in the cart belongs to different sellers. Then, after one-time payment by the customer, the single order gets split into separate unique order Ids as per the sellers. After the placing, the order with multiple seller products in the single cart, the customer, and the respective sellers will get their order IDs automatically. 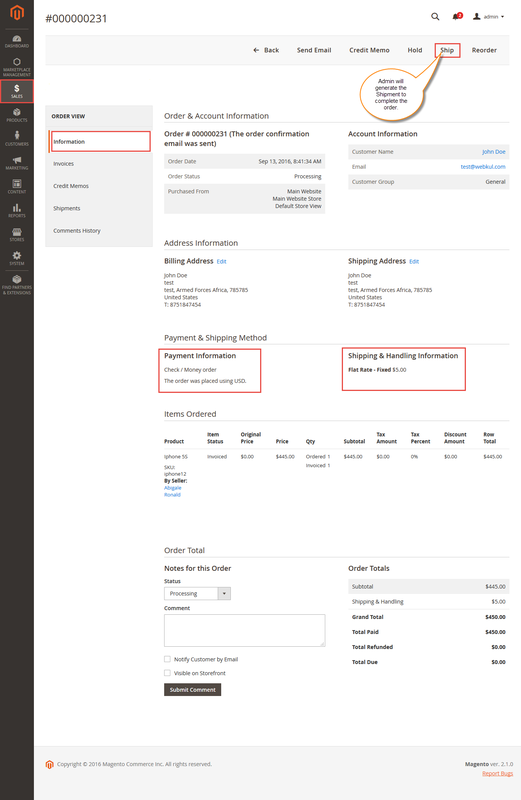 The sellers can generate separate invoices and shipments for different order IDs for the customers. If you want to manage and organize your orders in a more efficient manner. Then, Magento 2 Split Order Marketplace Add-On will eliminate the confusion and mismanagement in the marketplace orders while managing them. Also, the process of refund, return, replace becomes simpler to manage for both the customers and the sellers.